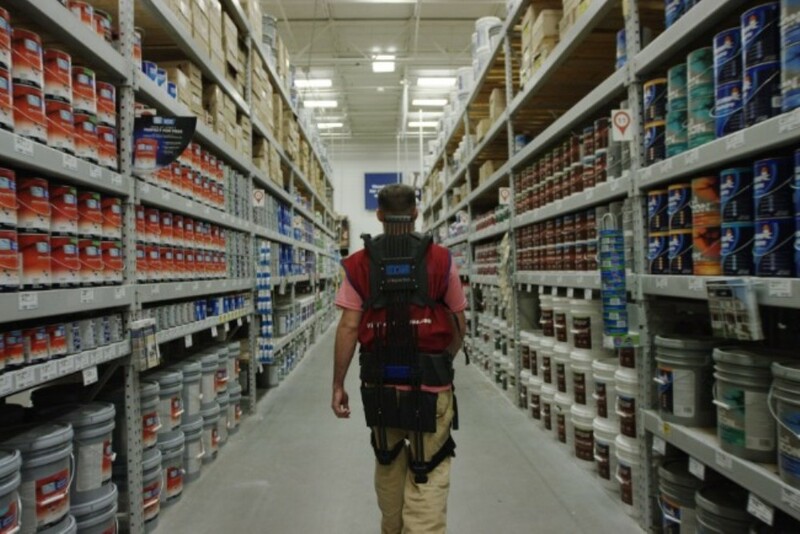 Home improvement chain Lowe’s partnered with Virginia Tech to develop an exosuit for store employees. This wearable robotic suit has lift-assist technology to help keep employees strong and healthy. The lightweight exosuit was designed to support employees, who are responsible for unloading truck deliveries and placing products on the sales floor, by helping them lift and move more efficiently, countering the muscle fatigue that results from repetitive motions. Lowe’s worked with Dr. Alan Asbeck, an assistant professor in Virginia Tech’s Department of Mechanical Engineering, and a team of students from Virginia Tech’s Assistive Robotics Laboratory to design and develop an exosuit prototype after months of lab testing. It reinforces proper lifting form and is intended to make lifting heavy objects easier by absorbing energy and delivering it back to the user, enabling them to exert less force to complete certain movements. As users bend and stand, carbon fibers in the suit’s legs and back help them spring back up with greater ease. Four exosuits are currently being used by the stocking team at the Lowe’s store in Christiansburg, Virginia. Over the next few months, Asbeck and his team will work with Lowe’s to assess the physical impact of the exosuit and carry out employee engagement studies to better understand the effect it has on the work experience.